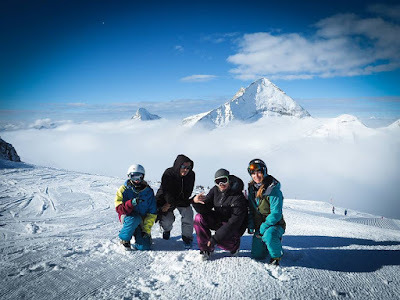 After the first article for Slovak ski association about how is Slovak Freestyle team doing, here is the continuation about their beginning of the season. Trips to Austrian glaciers have started the winter season 15/16 for Slovak Freeski Team. For all of team members those were the first times on the snow after long summer preparations. These trips were mainly about to ‘’get the feeling back’’. Hintertux offered almost ideal conditions to start with. 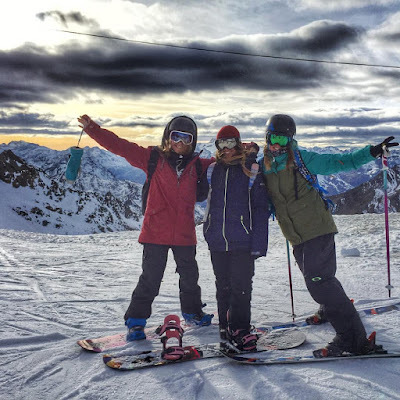 The trip was not about learning new tricks immediately so Katka, Nana and Igor together with trainer Murgi used it for easy skiing and getting use to the kickers. Hintertux was also choice number two, this time it was connected with Progres Zone Camp where Richie Jurečka, newest member of the team, joined as well. Even the bad weather didn’t stop him from doing his tricks and take the advantage of the camp as much as possible. Next trip was to popular Stubai glacierwith Zuzička and Nana. 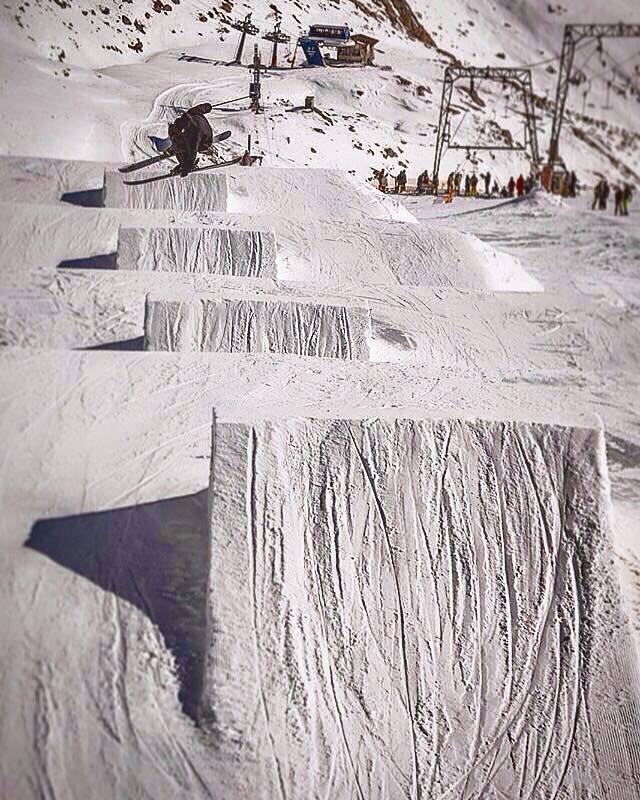 Thanks to beautiful weather and top level snow park, Stubai offered literally perfect conditions for training. 4 kickers in media line, 3 jumps in pro line and unlimited rails were perfectly shaped every day. Two extra kickers were built for Prime Sessions after official opening at the beginning of November. Words like not-understandable-for-normal-humans-being fits the description of these monsters. 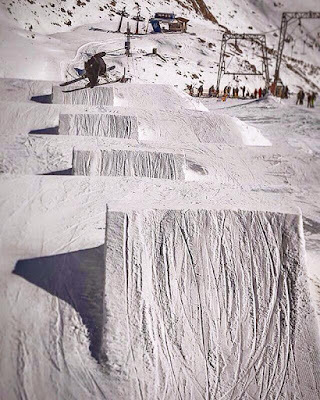 World top freeskiers were training triples there and one crazy snowboarder landed quadcork. Just sayin’! Nana and Zuzi focused mainly on kickers. Zuzi was riding for the first time after her knee injury from 9Queens followed by surgery. Because it was possible, she also tried her tricks and even something new on pro line kickers. Riding switch is one of the thing she needs to practise. She also successfully landed her first attempts of 45in. Nana spent most of the time in media line, where she did switch as well as right side rotations. The very first competition for this season, FIS Europa Cup, will take place at Austrian glacier Kaunertal at November 28th 2015. Richie, Nana and Igor will attend. What is expected from this Europa Cup? I can’t tell much about the competition as it is the first EC of the season. However I assume it will be quite strong as most of the world top teams are currently training at Stubai, which is not so far away from Kaunertal. We will see what this opening event will bring. Of course, the highest expectations are from Natalia, who ended twice at the second place in last two ECs. Getting into the finals will be considered as achieved goal for boys. Everything extra will be a bonus. How well are our riders prepared? We will know only at the competition :). I think we are able to fulfil the goals I have mentioned in previous question. What are the next plans of the team? The team going to Kaunertal also plan to attend another ECs. For now there are three of EC scheduled, twice in Italy and once in Swiss. And of course we will go to World Cups with Zuzička, which take place twice in USA, once in Korea and once in Swiss. 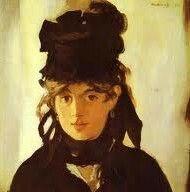 Natalia will attend some of these too. Results of this season don’t count into qualification for Winter Olympic Games 2018, which means there are no world championships. We can say this season will be easier one. Especially with focusing on learning new tricks we hope we can fight for the tickets to the next olympics. 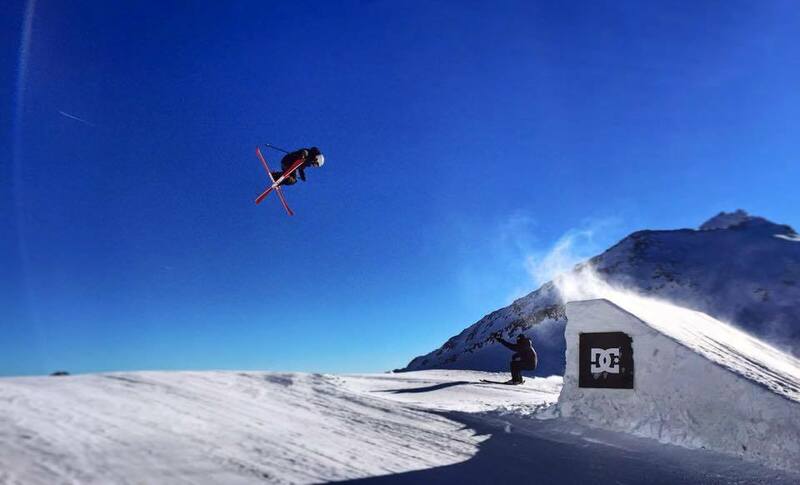 Richie at Stubai before EC. Nana with friends at Stubai. ...STILL A LOT OF FUN... Followcam edit from STUBAI with Jirka "Dedek" Volák (31) and Tomas "Murgi" Murgáč (32) from Progress Zone on Vimeo.